Hopefully this one is a reasonably obvious mention in the list. Its reputation is well deserved as one of the world’s best wildlife locations. The islands are at the junction of three ocean currents, meaning that nutrients from all over the pacific find their way to the islands, providing an abundant food supply to its diverse range of wildlife. Despite the variety of wildlife the most unique thing about the Galapagos is actually the tameness of the animals. None of the reptiles or birds on the islands have ever needed to concern themselves with predators, and as such they are indifferent to humans. This makes wildlife viewing on the islands stress free. Sea Lions, Marine Iguanas, Flightless Cormorants, Galapagos Penguins, Blue Footed Boobies, Sally Light Foot Crabs and Tortoises can all be viewed easily. The marine life is equally amazing. Reef sharks, Hammerhead Sharks, Manta Rays, Turtles, Penguins and Marine Iguanas can easily be viewed on a simple snorkelling trip. Land Based Tours (day trips from a hotel): These are not normally the best value option, although they may be the cheapest. These trips are restricted to the range of a boat from the hotel each day, which isn’t particularly far. As a result you won’t get to see a wide range of sites and/ or animals as the various animals of the Galapagos are scattered all about the archipelago. Only consider this option if you are very short on time or budget. Island Hopping Tours: This option can be reasonably cost effective and good value if you don’t have any time pressures. The ferry service between islands is certainly cheaper than the cruise boats but alas the ferry services normally only operating during the day, as opposed to the cruise boats, which travel between islands each night so that their customers wake a different island each day. So just be aware when comparing itineraries that 8 days island hopping may only correspond to 4 or 5 days on a cruise itinerary. It may still come out cheaper than a cruise after allowing for this but for people on a short time frame the set cruises are generally the best value options. Cruise Boat Itineraries: Cruises vary in duration from 4 to 14 days. As mentioned above the cruises are generally the most expensive but probably also the best value if you have a set time period and want to pack in as much as possible. The cruises generally travel between islands overnight, meaning that you maximise your waking hours out and exploring. 4 or 5 day itineraries generally aren’t long enough to allow you to see enough and on the other hand 14 days is probably a little too much, unless you are diehard wildlife enthusiast. A cruise duration of one week is a sensible option. Click here to see Chimu Adventures’ Galapagos Cruising Range. Beautiful view of Patagonia, Chile. Patagonia generally is a great wildlife destination, but you probably know that already. Patagonia covers a huge area, roughly running from Bariloche to Ushuaia in Argentina or Puerto Montt to Puerto Williams in Argentina. Northern Patagonia (the lakes district) is very scenic but it’s heavily vegetated, which makes wildlife problematic. Southern Patagonia is much more sparsely vegetated and is also less inhabited by humans – making it the better option for wildlife viewing. Southern Argentinean Patagonia is also good but we’d suggest that using the Chile towns of Punta Arenas as a launching pad for your Patagonia wildlife adventure. The first reason is that Punta Arenas is the gateway to Torres del Paine National Park. 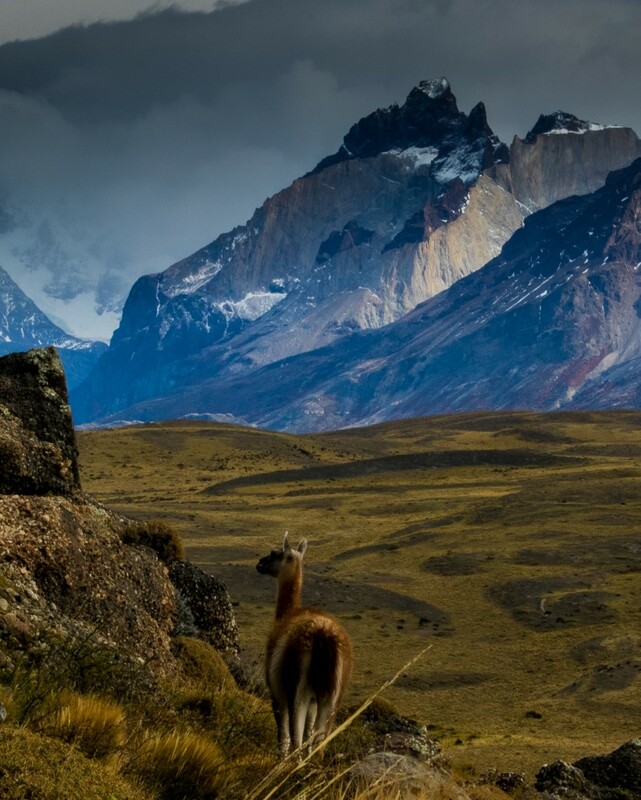 Torres del Paine National Park is arguably one of the best national parks in South America. It’s best known for its granite towers and cones, which the national park is named after. There is a large amount of trekking options in the National Park. But it’s not all about trekking. The eastern side of the park in particular is great for wildlife viewing. This area is more arid than the immediate area around the towers and the open, lightly vegetated areas in this part of the park are perfect for viewing a range of animals including Vicunas, Guanacos Skunks, Condors and you’re even a reasonable chance of seeing a Puma. But wait there is more! Directly across the Strait of Magellan from Punta Arenas there are penguins, more specifically the Megallenic Penguin, which has a large colony within a short boat ride. 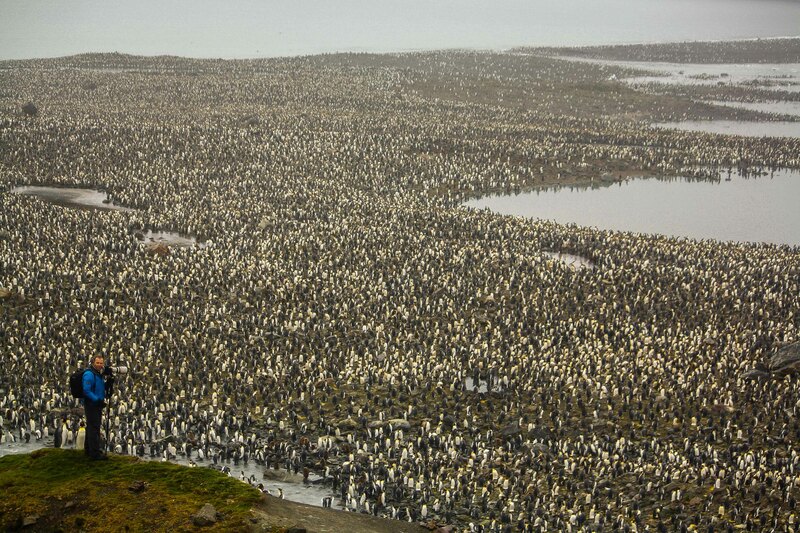 To top it off there is also very small King Penguin colony nearly too. King penguins are the second largest of all penguin species and other than this small colony they can only be seen in far flung locations like South Georgia, The Falkland Islands and Antarctica! To view Chimu Adventures’ range of Patagonian tours click here. Considered to be the savannah of South America, the Pantanal is rightfully regarded as a wildlife wonder spot. The Pantanal is a large wetlands area and so it goes without saying that it has a huge array of birdlife – and South America has the most diverse range of birdlife on the planet! But it also has most of the larger mammals and reptiles contained in the Amazon. Go in the wet season if you want to see birdlife, and you can cruise the waterways in small canoes to get around easy and take it all in. The dry season conversely is the perfect time to see the reptiles and mammals. As it’s a wetlands there is not the thick vegetation of the Amazon and these animals are a lot easier to find that they are in the Amazon. You’re like to see Howler Monkeys, Sloths, Tapirs, Capybaras, Caiman, Giant Anteaters and possibly even Jaguars. To get to the Pantanal you need to get to either Cuiaba or Campo Grande in south-west Brazil. You can catch a flight to either city from Rio or Sao Paulo. The only way to do the Pantanal really is to stay at a lodge. A four or five day programme is ideal. Lodges very in price and quality to be careful. Generally the lodges closest to the cities have the best facilities but the worst wildlife viewing opportunities and vice versa. We suggest travelling deep into the Pantanal to make the most of the experience and getting the best value for your money. It will be a long journey but we’re sure you won’t regret it! Tip: You have a better chance of seeing Jaguar in the North of Pantanal, whereas the South is better for birdlife such as Macaws. To view Chimu Adventures full range of Pantanal tours, click here. 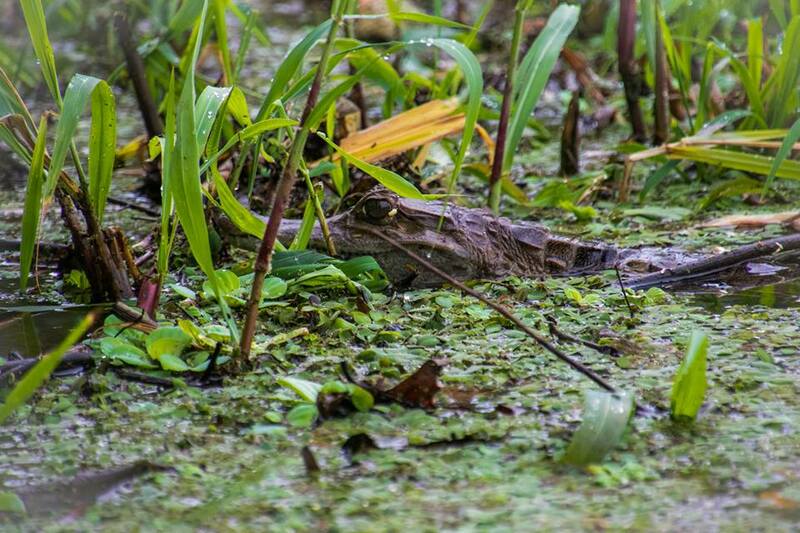 Purely in terms of wildlife we’d suggest that the Pantanal is a better option than the Amazon. Wildlife viewing is certainly easier in the Pantanal, especially if you pick the right time to go. 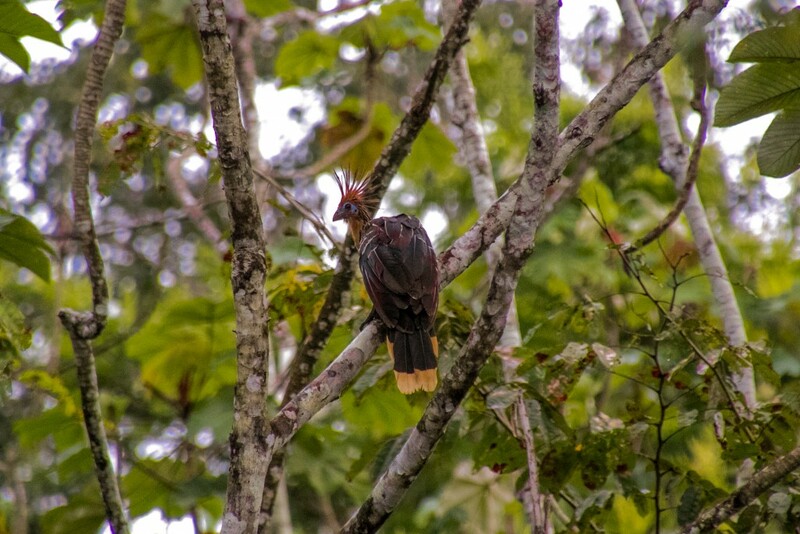 But, for people not intending to go to Brazil, of who want a complete Amazon experience, we’ve included our pick for the best location to see wildlife with in the Amazon: Iquitos. The Amazon itself is obviously expansive and there are multiple destinations to visit within Brazil, Bolivia, Peru and Ecuador. Some suffer from lack of infrastructure, others just lack of primary growth rainforest, due to illegal logging. Like the Pantanal, unfortunately Amazon Lodges with the best facilities are nearer to large population centres and with proximity to larger population centres invariably comes less wildlife and less primary growth rainforest. And so the reason Iquitos is a great option is that firstly it’s quite probably the most isolated city in the world. The only way in and out is via plane or river boat. It’s possible to fly to Iquitos directly from Lima which makes accessibility reasonably simple. Iquitos is a city with and interesting past too. During the rubber boom there were huge fortunes that were made in the area and some of the grand buildings in the area are from this period. But it’s not the city you’re interested is it! Given that Iquitos is so remote from the rest of civilization the surrounding rainforest is still relatively pristine. Although not in the immediate area around the city and certainly not downstream from Iquitos, which suffers from the population of the city. But head upstream a few hours and you’ll fine pristine National Park in Amazonian tributaries teeming with wildlife. The best way to view these areas is by river boat – one unfortunate issue in the Amazon is mosquitos and one of the major benefits of a riverboat is that the movement along the river keeps mosquitos from biting. Another is that the boats can be resupplied while in port in Iquitos so that you can still have high quality meals even once you’re in the thick of primary growth rainforest. To see Chimu Adventures’ full range of Amazon tours, click here. Well I know it’s not technically South America but Ushuaia in Argentina is the world’s gateway to Antarctic Tourism. So it’s not really a South America destination but it probably is the world’s greatest wildlife adventure and the journey needs to start from South America (this isn’t really true either as Antarctica can be done from other continents too – it’s just that 90% of people do it from Ushuaia or Punta Arenas in Chile). If you’ll forgive my slight embellishment with Antarctica, I’ll explain why it needs to be on this list. Antarctica really is a wildlife goliath. Just looking at the numbers gives you some idea – there are almost 11 million Macaroni Penguins along on the Antarctic Peninsula and nearby islands (the Antarctica protrusion which comes up towards Southern Patagonia. And the Macaroni Penguin is just one of eight species of Penguin living in Antarctica. To compare this to the Galapagos there are only 1000 breeding pairs of the Galapagos Penguin – total! And Penguins are just the start. Whales obviously spend a significant amount of time in Antarctica during the Southern Hemisphere summer an can sometimes be seen in pods numbering in the hundreds. Seal life is abundant too. Fur seals, colossal elephant Seals that can weigh up to 5 tonnes and the predator of the Antarctica, the sleek and intelligent Leopard Seal. Bird life is prolific too. The world’s largest wingspan is found in the Wandering Albatrosses that fly the Southern Ocean. Skuas, Giant Petrels and beautiful snowy sheathbills are just other examples. So, especially if you only plan to go to South America once – do yourself a favour and give yourself the ultimate of wildlife experiences with an Antarctica Cruise. To see Chimu Adventures’ range of Antarctica Cruises, click here.